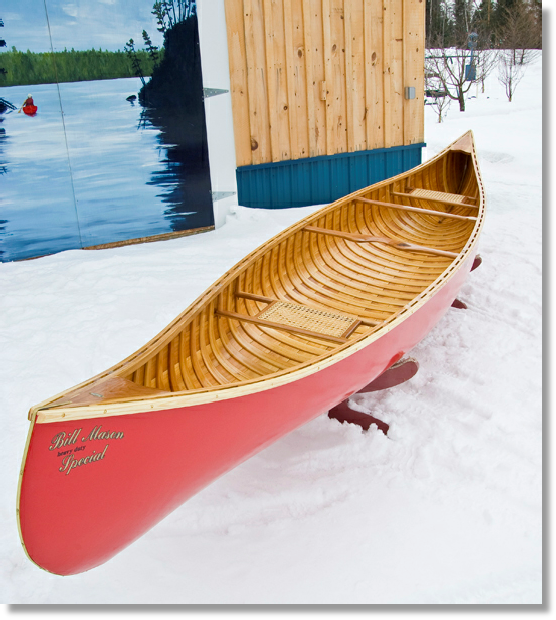 Fletcher Canoes is your #1 builders of custom cedar canvas canoes, made with local white cedar and your choice of cherry, bird’s eye maple or ash for the decks, seats thwarts, and yokes. 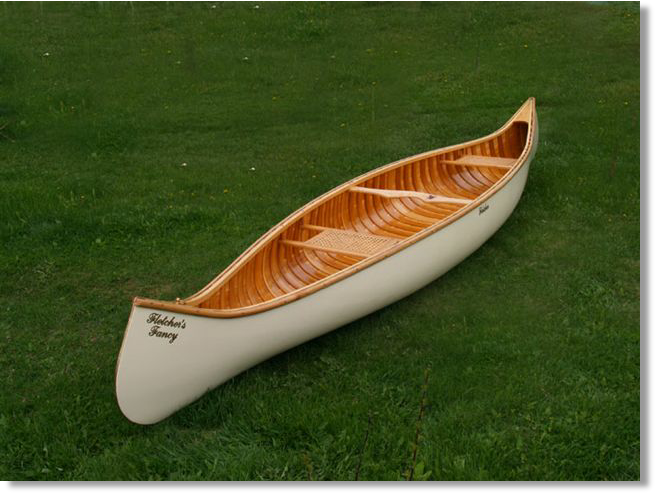 Known ‘round-the-world for the 17-½‘ ‘Bill Mason Heavy Duty Special’ and the 15′ ‘Fletcher’s Fancy’, Fletcher Canoes are quality, reliability and performance in one beautiful package! 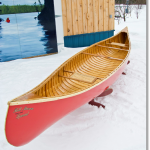 Canoes built are the Fletcher Canoe Shop in Atikokan, Ontario – the canoeing capital of Canada – use the finest selected woods and fabric to ensure the best possible strength to weight ratio. They feature the painstaking construction of tapered ribs, to distribute the weight where it counts. 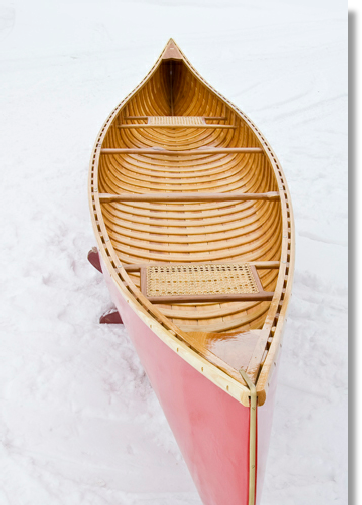 Our canoes are finished with a hand-rubbed blend of canvas filler, and topped with a quality marine enamel on the exterior. 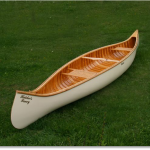 The interior is finished with linseed oil and three coats of spar urethane. Brass and stainless steel fasteners are used throughout. Tours are available by phone call.